Age Discrimination Takes Its Toll by Paula Span, January 12, 2012, 12:07 pm:"Raise your hand if you've felt that people treat you with less respect or courtesy than others, that they act as if you're not smart, that you get poorer service in stores and restaurants than others — in short, if you've felt discriminated against because of age, gender, ethnicity, income, disability, appearance, even marital status. A startling proportion of older people report that they've experienced discrimination: 63 percent, in a study recently published in Research on Aging. The most commonly cited cause? "Thirty percent report being mistreated because of their age," said the lead author Ye Luo, a Clemson University sociologist. Perceived discrimination because of gender, race or ancestry, disabilities or appearance followed in smaller proportion"
AgingInfoUSA:"Sue Salach-Cutler has worked in the geriatric healthcare field for close to 20 years and is the Author of "Along Comes Grandpa", a caregiving resource guide, and the novel "If I Walked in Her Shoes" (http://www.AlongComesGrandpa.com). As a National Speaker, Sue utilizes her personal and professional experiences to educate and empower professionals on the work/life affects of caregiving. ;As CEO of AgingInfoUSA she partners with companies to evaluate the cost of employee caregiving on their bottom line and implement cost effective solutions. Sue was the 2010 recipient of the YWCA Marguerite Henry Leadership Award for Communications/Technology and the Influential Women in Business Award from the Business Ledger and NAWBO. AgingInfoUSA received the 2010 Excellence in Business Award from the Business Ledger and was nominated for the Chicago Innovation Award." Humobile: A Caregiver's Guide to the Human Mechanical Machine by Dolores M. Monahan:"Humobile is a book designed to assist a person/family (especially babyboomers) with a sick or injured loved one at home, especially if they do not have any family to help or lack basic nursing/healthcare knowledge and skills. It is also designed to assist home health aides, nursing aides, assistant living aides, nursing students, medical assistants, or even seasoned medical or preventaive health care practitioners with the activities of daily living for the person who they are taking care of. In other words, it gives the "why" behind the "what" you are doing for the home patient and shows you how to "safely" take care of yourself and your loved one or home patient. It is written in simple terminology, which leads to easy reading and understanding. It describes the correlationship between a human body and an automobile in relationship to being "good working mechanical machines or run down old jalopies." Nurses House, A National Fund For Nurses in Need:"Nurses House is the only national charitable foundation dedicated to helping nurses in need - regardless of race, color, creed or gender, in all 50 states. The much needed work of our voluntary organization has been supported by the generous contributions of nurses, and by the friends and families of nurses, who recognize that sometimes those who spend their lives caring for others need to be cared for too." Caregiver's Beacon newsletter:"The Caregiver's Beacon newsletter is a free service to family caregivers. It is formerly known as The ElderCare Beacon and Keepin' Up With ALZwell. Simply enter your e-mail address in the box and click "Subscribe." Twice each month we will send you a supportive and informative newsletter that includes feature articles, caregiving tips, book reviews, hot topics, community updates and our chat schedule." The Caregiver's Handbook:"This Caregiver's Handbook was developed and produced in booklet form by The Caregiver Education and Support Services, Seniors Counseling and Training Case Management Services of the San Diego County Mental Health Services; Robert Torres-Stanovik, LCSW, Editor." ceus-r-ez.comHello, and welcome to ceus-r-ez.com! This site is designed to help long-term care administrators, assisted-living administrators and managers, certified nursing assistants, personal care assistants, group-home caregivers, and residential aides obtain continuing education units easily and inexpensively." CNA's Certified Nursing Assistants, MSN Groups.com:"Welcome all Cna's/Caregivers and any one in Geriatrics." The Dark Side Of Caring: Challenges Of Caregiving:"The meaning of disability on perception of self-worth as a nurse was identified through this qualitative study of disabled registered nurses. A metaphor emerged depicting the phenomena of the lived experience of disabled nurses. 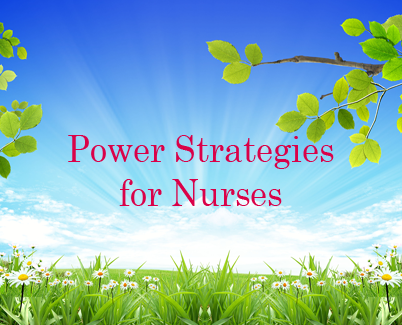 The results indicate that by creating a caring environment, nurse administrators can encourage disabled RNs to return to nursing practice." Direct Care Alliance:"Nationwide, we face a critical shortage of high-quality direct-care workers — home health aides, certified nursing assistants, and personal care attendants — who can meet the needs of our country's long-term care consumers — people who are elderly, chronically ill, or living with disabilities. Direct-care workers provide the vast majority of hands-on care within our long-term care health system. Consumers rely on these workers to provide them with comfort, companionship, and care in an atmosphere that preserves their dignity and well-being. As a result, consumers consistently cite the quality of their relationship with their paraprofessional workers as a primary determinant of their quality of life." ElderCare Online:"ElderCare Online is a beacon for people caring for aging loved ones. Whether you are caring for a spouse, parent, relative or neighbor, we are committed to providing an online community where supportive peers and professionals help you improve quality of life for yourself and your elder." Free Eldercare Guide for Seniors, Older Adults, Caregivers:"the national, comprehensive guide for older adults and caregivers. Information on this site identifies your local options for senior living facilities - including Assisted Living, Residential Care, Retirement Communities, Skilled Nursing, Alzheimer, Hospice and Adult Day Care facilities; local options for senior insurance, healthcare discount cards (coming soon), other frequently needed health and professional services such as legal and financial, mental health, home health, and geriatric care management. Click here for descriptive and status information about our Directories." Alzwell Alzheimer's Caregivers Page For Dealing With Dementia, Memory Impairment, Alzheimers Disease And Caregiving Issues For The Elderly:"Alzheimer's Caregivers Page. Includes Resources, Reader Contributed Stories, Tips, Q and A, a Virtual Memorial, Interactive Links and more - located in El Dorado County." Coalition of Women in Long Term Care (COWL):"Long term healthcare (LTC) is, in many respects, a women's issue. Women comprise 75% of the nursing home resident population, 97% of professional long term caregivers and the vast majority of family members caring for relatives at home. This demographic reality gives rise to a lot of issues, from healthcare delivery to pay equity and fringe benefits. Ironically, but not surprisingly, the majority of leadership and policy-making positions, both in long term care and in government, are occupied by men. The question becomes: How can we bring women's unique perspectives and situations, as they pertain to long term care, to the full attention of the board rooms, the legislatures, and the executive agencies of the government?" Caregiving:"Caregiving Online offers you access to the support, information and resources you need when you care for an aging relative. The web site is an off-shoot of Caregiving newsletter, a monthly print publication. Children of Aging Parents:"Children of Aging Parents is a non-profit, charitable organization with a national mission to assist the caregivers of the elderly with reliable information, referrals, and support and to heighten public awareness that the health of family caregivers is essential to ensure quality care of the nation's growing elderly population." ElderWeb Online Eldercare Sourcebook:"This award-winning site is the oldest and largest eldercare sourcebook on the Web. It is a research site for professionals and family members, with over 4,500 links to eldercare and long term care information on legal, financial, medical, and housing issues, as well as policy, research, and statistics." National Association of Geriatric Nursing Assistants:"The National Association of Geriatric Nursing Assistants was formally established in 1995 by former certified nursing assistants Lori Porter and Lisa Cantrell. Initially working as CNAs, both moved up the nursing home management ladder, Lori eventually becoming a licensed nursing home administrator and Lisa a director of nursing. Throughout their careers, they remained focused on their years as CNAs, realizing that nursing assistants are both the backbone and the heart and soul of the nursing home profession." National Family Caregivers Association (NFCA):"NFCA is the only national, charitable organization dedicated to making life better for all of America's family caregivers. There are more than 25 million people who find themselves in a caregiving role. And the numbers are growing daily. Family caregivers focus on their loved one's needs. NFCA focuses on family caregivers. National Respite Locator Service:"Respite, a break for caregivers and families, is a service in which temporary care is provided to children with disabilities, or chronic or terminal illnesses, and to children at risk of abuse and neglect. Respite can occur in out-of-home and in-home settings for any length of time depending on the needs of the family and available resources. (Many of the programs listed here also serve adults.)" Seniors-Site.com -- for adults 50+ (senior citizens) their children & caregivers:"Seniors-site is dedicated to provide a unique, informative, interesting, and entertaining website for seniors and encourage their participation. The site also promotes products and services important to senior citizens." See also: Nov. 26, 2002: North Carolina: Who cares about caregiving? It's not a disease or disability. It's the future of health care:"Today it isn't bad enough that our society marginalizes our elders. Caregiving itself is treated as a disease or disability, and the caregiver is often alienated, neglected and even shunned. It's been my experience that most people don't want to get too close to a caregiver on a regular basis. Much of our lives is not our own, and we are forced to decide which relationships, social engagements and interests to sustain and which to drop. And, let's face it, sometimes we are too exhausted or depressed to be fun company." Empire Homecare Resources, Inc.:"Empire HomeCare Resources is a senior health care planning and support service for those of you who are facing real concerns regarding a disability, illness, injury, or other health problem which needs to be addressed. We focus on education, support, and training for seniors, family, caregivers, and the disabled so that a long term illness or chronic health condition will be as comfortable, and stressless as possible."